Pet fencing systems are an excellent way to keep your pet safely contained in a specific area. When used according to manufacturer’s instructions, they provide a safe and reliable way to keep your pet out of harm’s way while allowing them to explore and get the exercise they need. There are several types of systems to choose from. 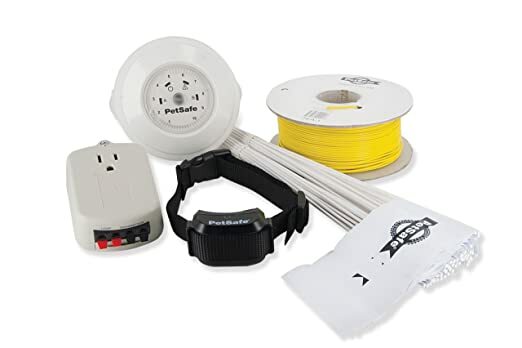 There are buried or in-ground wire systems, above-ground systems, wireless systems that use a transmitter device to project a desired boundary and even radio- and WiFi-enabled collars. You’ll want to consider the type of system you desire before purchasing. 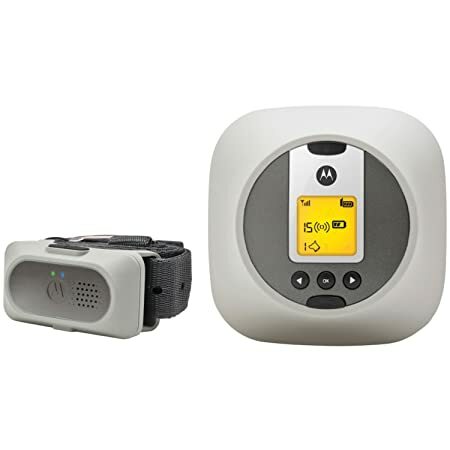 Wireless systems provide more portability and are easier to install and set up. Wired systems can be expanded more easily though. Consider the coverage area your pet will require and look for a model that provides suitable coverage. 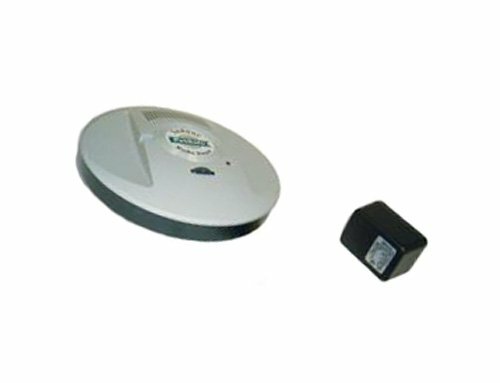 Replacement receiver collar batteries can be quite costly – rechargeable collars cut down on that expense but require time to charge up. If you have more than one dog or will need to expand the system in the future, that is another consideration to keep in mind. Always install and use pet fences according to the manufacturer’s instructions. If you have any questions or concerns, do not hesitate to contact them. With the above in mind, in no particular order, here are 40 of the pet fences and fencing systems we consider to be the best, based on available features and average customer reviews. 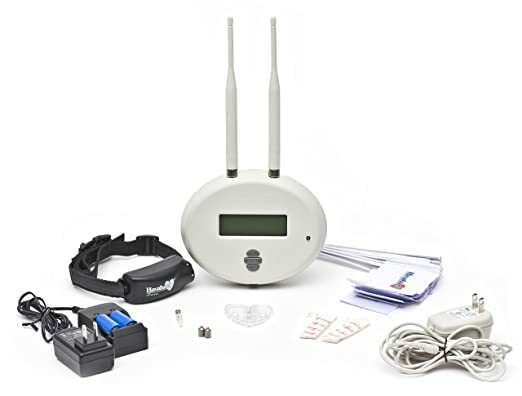 This wireless pet fence is perfect for use at home or while on the road with your furry friend and features a backlit LED screen that makes it easy to read and keep track of your pet. This package is suitable for use by up to two dogs at a time. 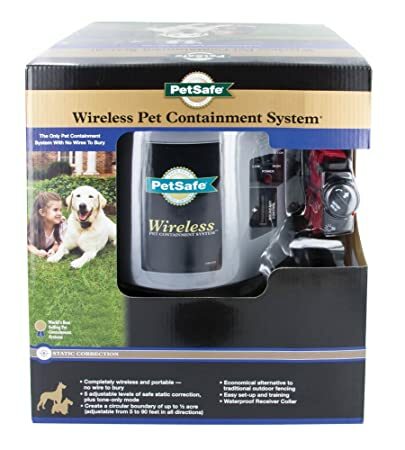 This wireless pet containment system offers a quality product that can help to keep your furry friend contained and safe. It has a maximum range of 90 feet, or about 45 average steps, giving your pet plenty of room to safely roam. 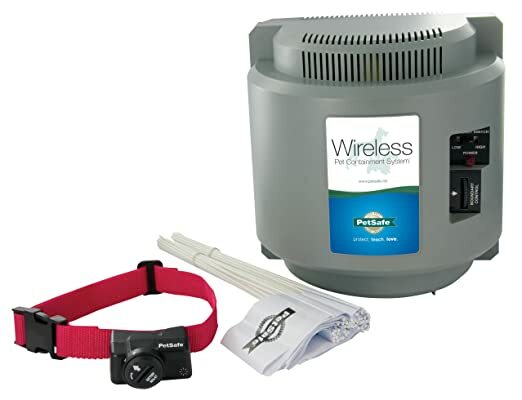 This wireless pet fencing system is easy to install, thanks to its wire-free lightweight transmitter. The rechargeable pet collar is ready to go in just 2-3 hours and has been ergonomically designed to provide your pet with comfortable all-day wear. 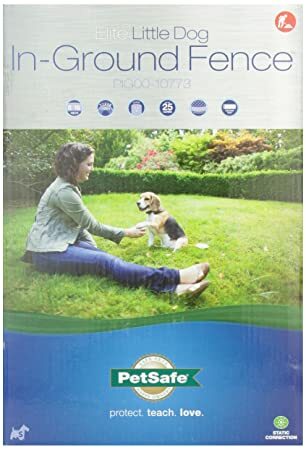 This pet barrier sets up instantly right out of the box and has been tested to ensure your furry friend’s health and safety. It can be used indoors to keep your pet out of unsafe areas or anywhere you don’t want them to be. 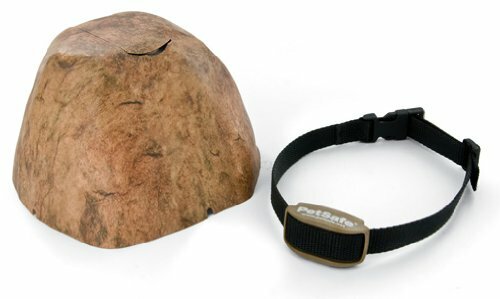 This outdoor pet barrier system looks just like a rock to provide a stylish and incognito way for you to keep your pet safe and secure, and blends easily into any landscape. The lightweight receiver collar is suitable for pets with necks 6-28 inches wide and is waterproof. 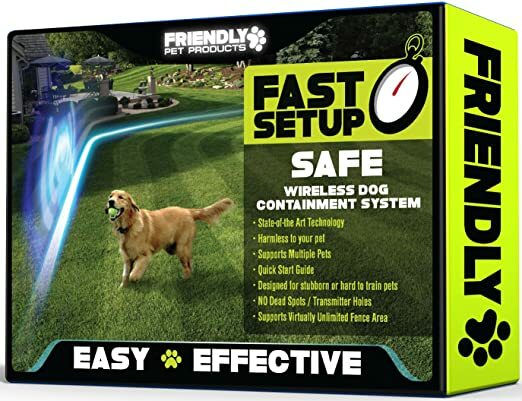 This wireless dog fence provides 100% safe and effective containment for your furry friend while outdoors. It comes with a 100% money back guarantee from the manufacturer, so you can rely on it for years to come. 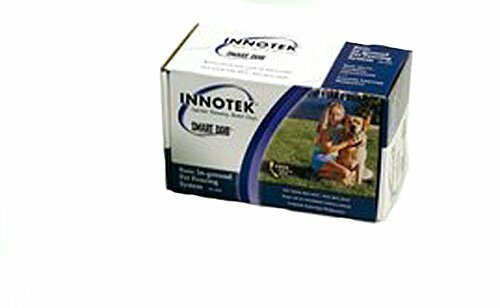 This indoor pet barrier is suitable for keeping your dog away from 1 zone in your home safely and effectively. It is suitable for protecting a space from 2-12 feet in diameter and requires no special training for your dog to learn. 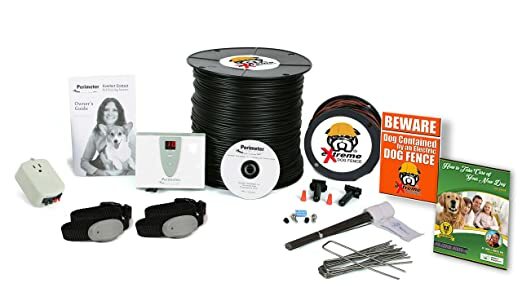 This in-ground outdoor pet fencing system allows you to add as many collars as you need so every furry member of your family can remain safe and secure while playing outdoors. 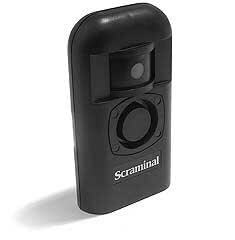 It comes with a waterproof collar receiver that offers 4 levels of adjustable correction. 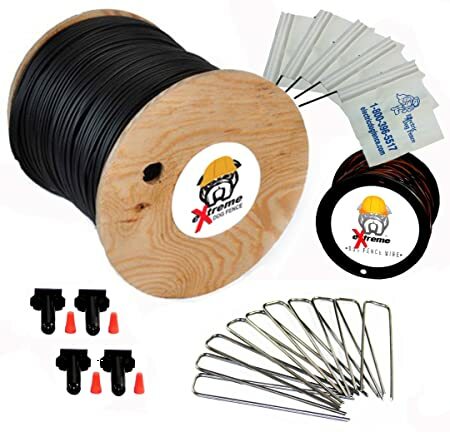 This outdoor pet fence system is suitable for expanding your outdoor coverage area and comes complete with 500 feet of wire as well as splicers and flags for easy installation and setup. This outdoor pet fence is suitable for medium- to large-sized dogs weighing at least 8 pounds and provides effective containment for areas up to 11 acres in size. 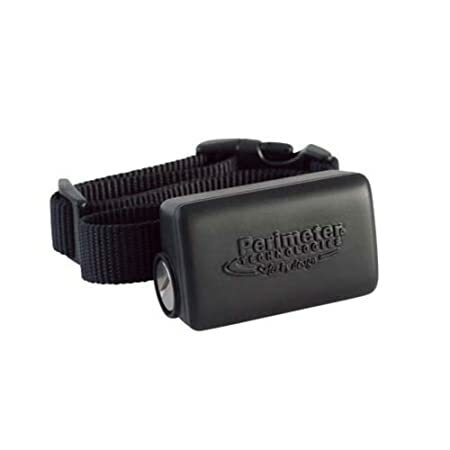 This outdoor, in-ground fencing system is perfect for smaller dogs with necks in size from 6-26 inches and comes complete with a waterproof receiver collar with built-in lightning protection in case of bad weather. This heavy duty professional-grade dog fencing wire is perfect for repairing or expanding your pet’s containment area and is available in a number of sizes and gauges to suit your family’s needs. 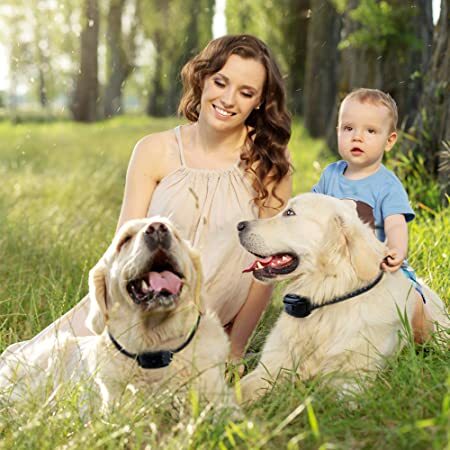 It is suitable to use with all brands including: Dogwatch®, PetSafe®, Invisible Fence® Brand, Innotek, and Sportdog. This radio fence is suitable for use indoors to help train your pet to stay away from certain areas. 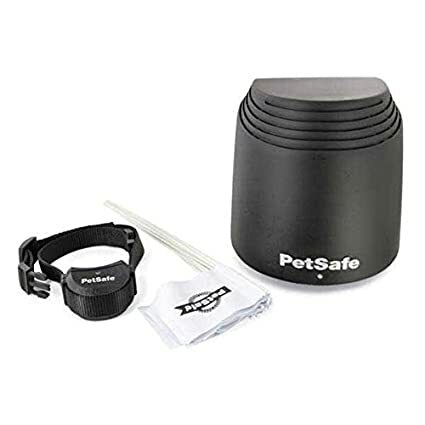 It provides a 2 foot diameter coverage area that is effective through both floor and walls and can be used with any PetSafe in-ground fence receiver collar. 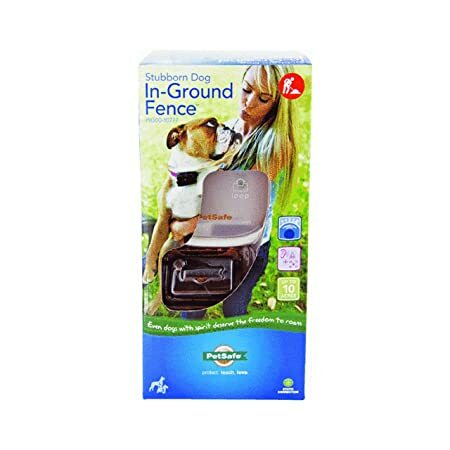 This invisible underground fence is perfect for multi-dog households as it comes complete with two collars and can be expanded if more are needed. It includes 300 meters of fence wire to provide almost 1 acre of containment coverage. This in-ground dog fence has been tested for safety and reliability to help protect and contain your family’s pet. It has been designed specifically to provide effective protection of stubborn and hard-to-train animals. 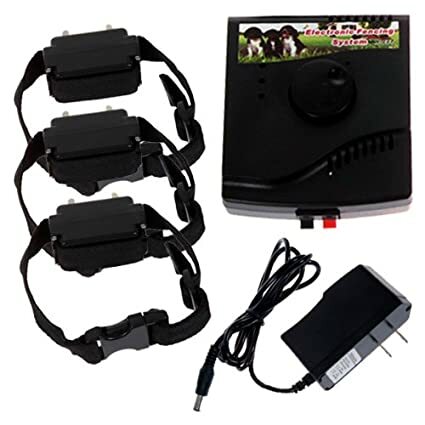 Ideal for that hard-to-train or stubborn dog, this in-ground electronic dog fence can provide your furry friend with reliable and effective containment and is suitable for dogs weighing 8 pounds or more. This in-ground outdoor fencing system provides your furry friend with a large area to safely roam about. 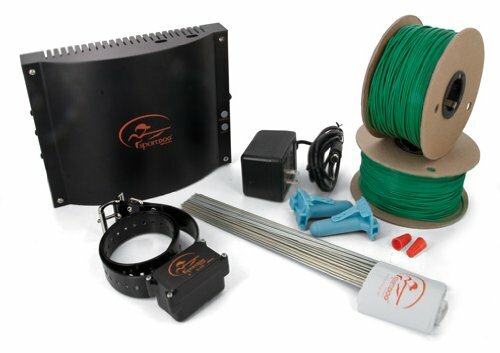 You can easily adjust your pet’s boundaries to suit your needs with the in-ground wire system. 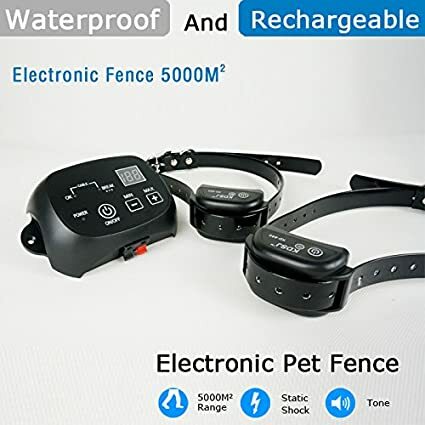 This WiFi-enabled electronic dog fence receiver collar provides your pet with up to an acre of effective containment and is suitable for use by dogs weighing from 10-130 pounds. This in-ground outdoor fence system provides an effective containment area for your furry friend of up to ⅓ of an acre but can be expanded with the purchase of additional wire up to 25 acres. 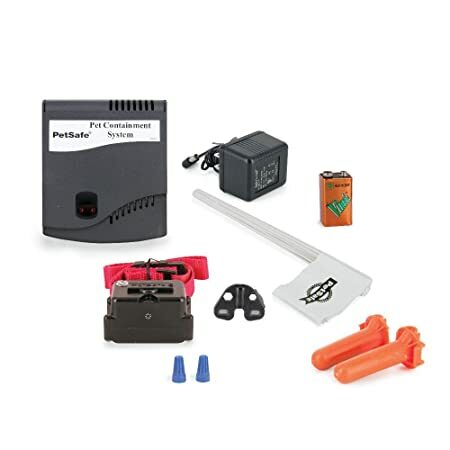 This in-ground electric dog fence system comes complete with 2 collars for families with multiple pooches and includes 300 meters of boundary wire to keep them safely and effectively contained. 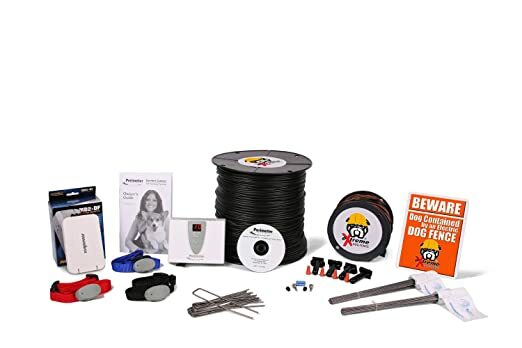 This in-ground dog fencing system comes complete with upgraded 18 gauge wire to provide your pet wire years of reliable and safe containment. 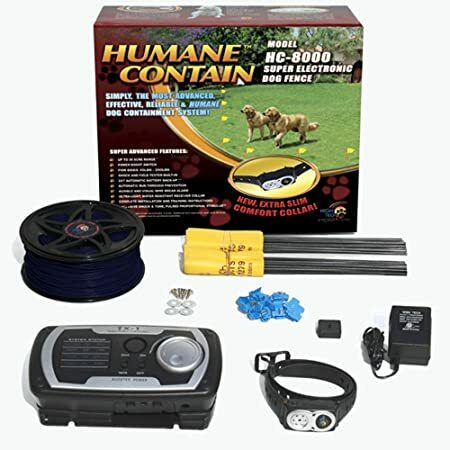 This wireless radio fence containment system provides pets weighing 8 pounds or more with safe and effective containment protection. It provides an area of up to 180 feet in diameter (about ½ an acre) of containment. 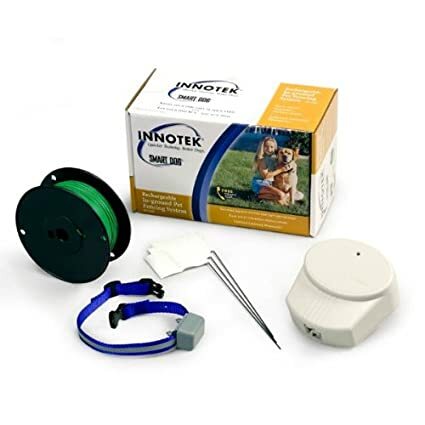 Available in a choice of single or two dog protection, this in-ground pet fence system can help to safely keep your furry friend in your yard. It boasts an impressive 25 acre range and run-through protection with a built-in 24/7 battery backup. 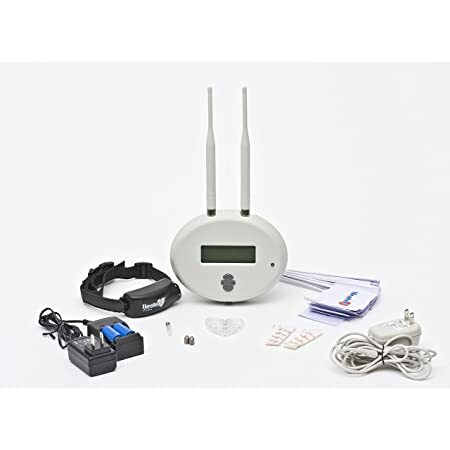 This wireless pet fence system is easy to install and comes complete with flags, guard wire and a control module to help you keep your furry friend safely contained. 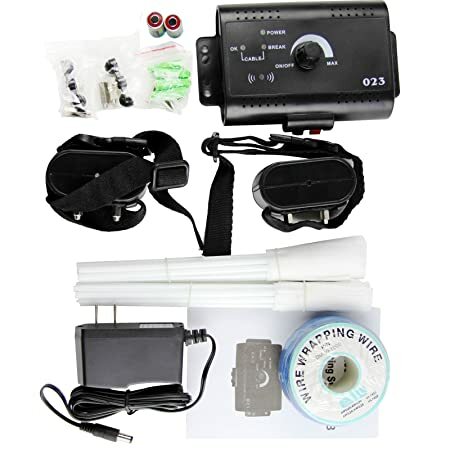 This radio fence system is perfect for taming, training and containing those stubborn and difficult pooches and includes the receiver with AC adapter and battery. 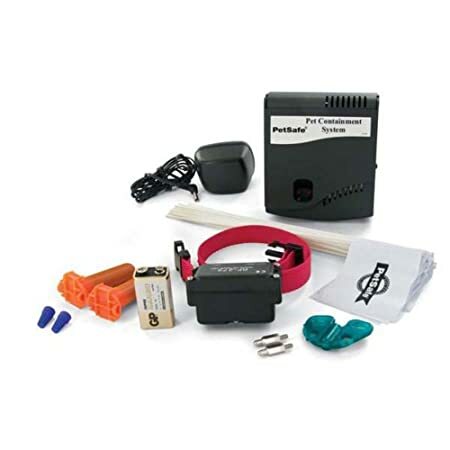 This pet training device is able to sense your pet’s presence through heat and motion sensors and then emit a high-pitched beep that deters both cats and dogs from undesired areas. This wireless pet containment fencing system is suitable for use with small dogs with necks from 12-17 inches, weighing at least 8 pounds. It provides up to 11 acres of containment protection – suitable for those with large properties. 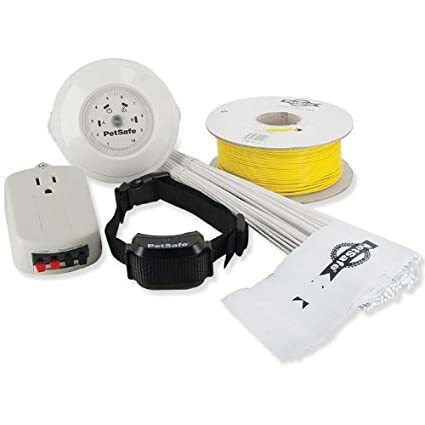 This wireless dog fence system provides reliable containment coverage for areas up to 10 acres with the purchase of additional wire. 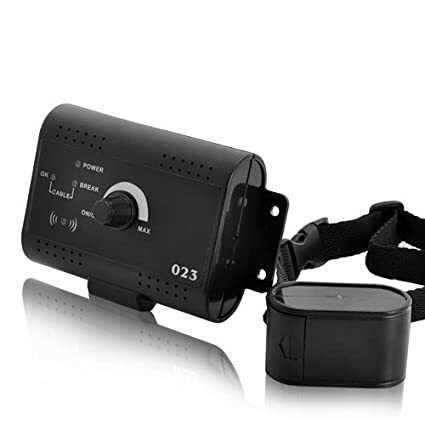 It is suitable for use by multiple pets with the purchase of additional receiver collars. This in-ground fence can help to keep your furry friend safely contained in your yard (up to ⅓ of an acre) and is suitable for use with dogs 8 pounds and over, with necks 8-28 inches in size. 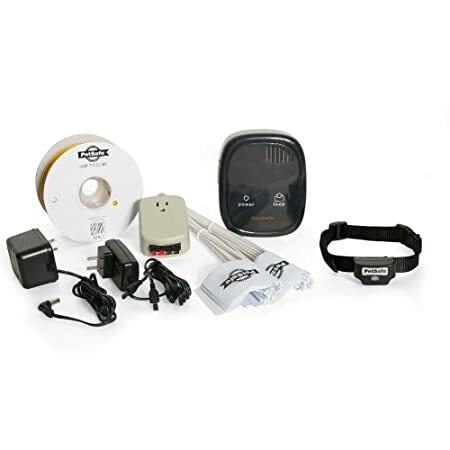 This wireless pet fencing system features a lightweight and portable transmitter with no annoying wires to bury. You can use it at home or on the road to help keep your pet safely and effectively contained. 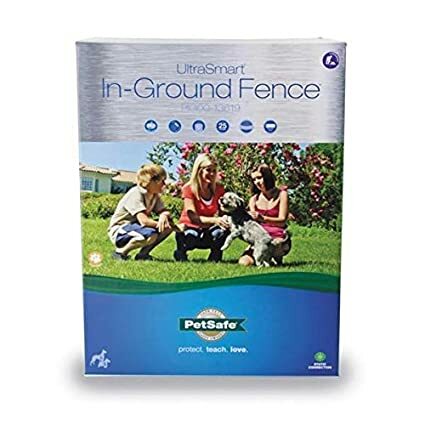 This in-ground pet fence system offers an affordable and effective way to help keep your furry friend safe and secure and features a coverage area of up to ⅓ of an acre and is adjustable up to 25 acres with the purchase of additional wire. 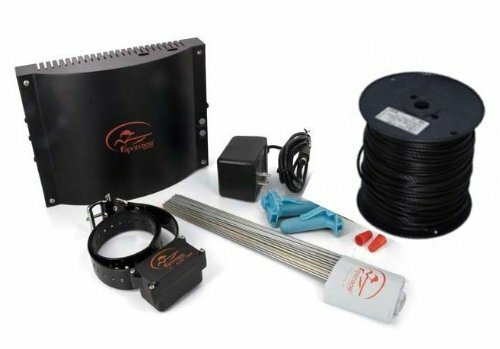 This electronic dog fence system comes complete with 500 feet of wire to help keep your pet safely and effectively contained. It features exclusive technology that automatically adjusts the correction intensity your pet feels based on distance from boundary. This dog fencing system is available in a number of different options and combinations to suit nearly any family’s situation and needs. 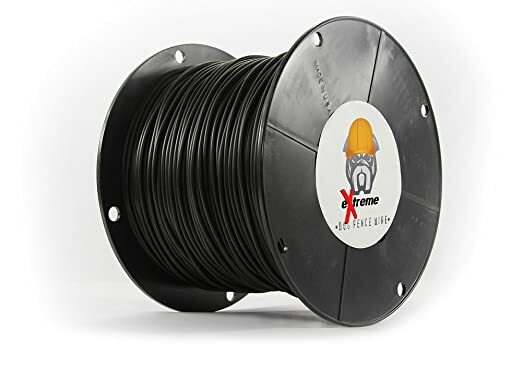 This model comes complete with 1500 feet of wire and 2 receiver collars to effectively contain 2 dogs in an area up to 1 acre in size. This in-ground dog fencing system helps to contain your furry friend within boundaries via a transmitter and rechargeable receiver collar. 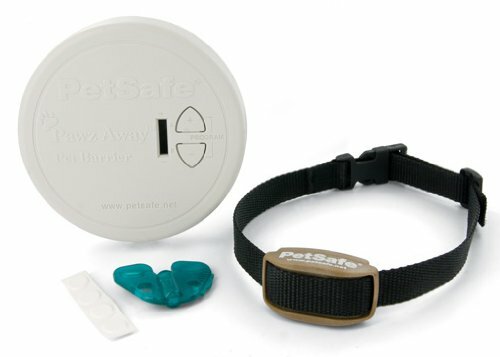 The collar gives a warning beep when your pooch nears the buried boundary wire, followed by a static correction. This in-ground dog fencing system provides an economical solution that can safely and effectively contain up to 3 pooches at a time in an area up to 1.2 acres in size. 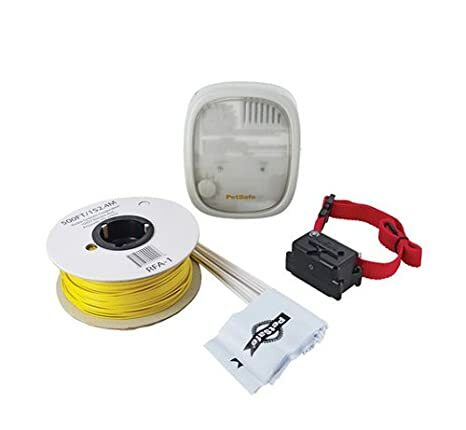 This wireless radio signal dog fence system provides a containment coverage area for your pet of up 5000 square meters and features a progressive warning tone to let your pet know when they’re approaching the boundary. 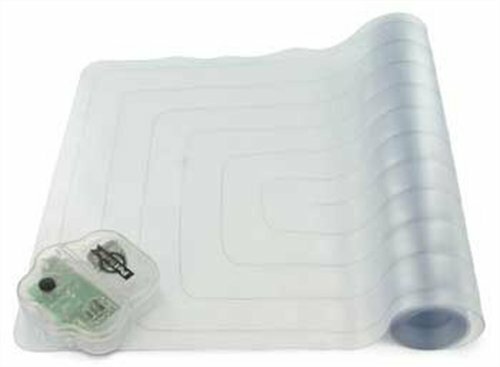 This training mat is an effective and ideal way to train your pet indoors to stay away from certain areas of the home. It is easily portable for use in any room and can be used with both cats and dogs. This in-ground fencing system is an effective and economical way to ensure your furry friend is safely contained. It features progressive run-through protection to keep your dog safe in the event they break the barrier. 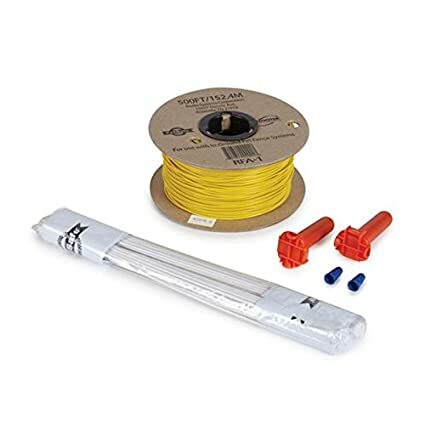 This outdoor fencing kit comes complete with 2000 feet of fencing to help keep your pet safely and effectively contained and is made of heavy duty professional-grade materials. The wire in this system is compatible with all fence brands. Available in a choice of 1, 2 or 3 dog kits, this electric outdoor dog fencing system provides safe and effective containment of your furry friend in an area of up to ⅓ of an acre and can be expanded to provide up to 10 acres of coverage.